The Bird Group met at the Horse and Jockey in Churchstoke to plan this year’s survey of curlew, lapwing and other bird species. The survey is carried out by volunteers being allocated a tetrad made up of four kilometre squares. Volunteers for most of the Camlad Valley tetrads were found on the evening, but five tetrads still need a surveyor. If you would be interested, there is more information on our ‘Future events‘ page. Our group combined with the Upper Clun Valley CWG to host a ‘River Health’ training session at Clun Valley Memorial Hall. 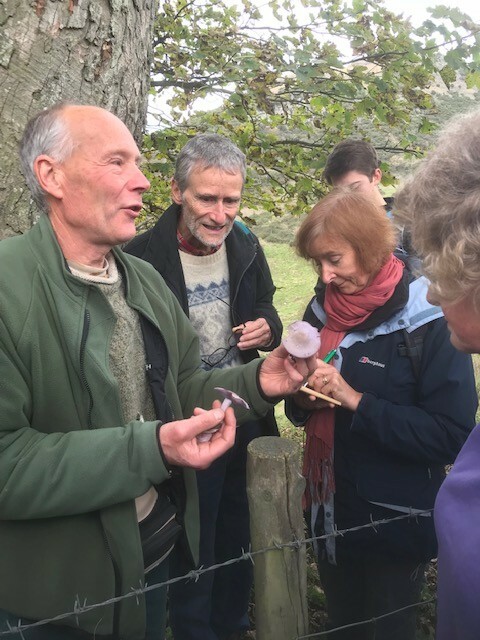 The training was provided by Jenna Shaw of Shropshire Wildlife Trust, who hopes that as many people as possible will get involved with sampling the water quality of rivers and streams across Shropshire. Usually, the training would be done largely in the field, but the heavy rain in the days leading up to the session had left the River Clun running very high and fast, and there were strong winds on the day itself. Undeterred, Jenna ventured into a stream running alongside the Clun to disturb the stream bed where most invertebrates live, returning to the colonial hall with samples to be tested. Jenna showed how to record the different types of invertebrates, as well as how to run different tests to check for nitrate, nitrite and phosphate levels. The samples collected showed the water to be clean and supporting a healthy range of species. Following the Group’s AGM, we were treated to a superb talk by the acclaimed photographer, Ben Osborne. 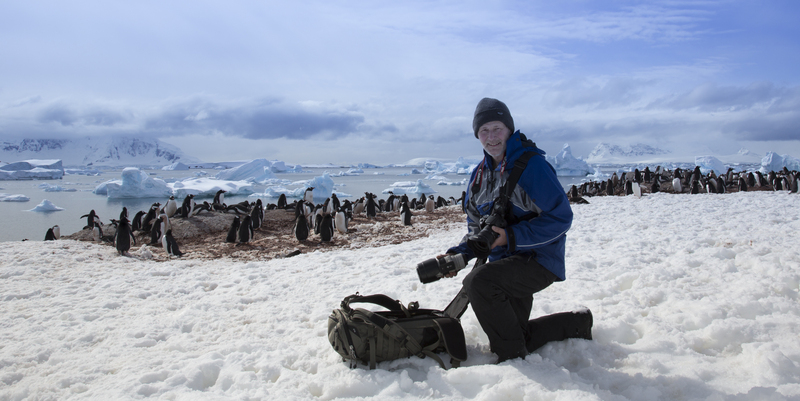 He shared his experiences of working on South Georgia and in the Antarctic, with wonderful pictures of their wildlife and starkly beautiful landscapes, as well of visits to Greenland and Botswana. And just to show that you don’t need to visit such exotic locations to be able to appreciate nature, he rounded off with some cracking shots of South Shropshire and Montgomeryshire and a look at the inspirational ‘Curlew Country’ project. Thank you, Ben, for a thoroughly enjoyable evening! The usual peace below the Kerry Ridgeway was temporarily shattered by the sound of many hammers hammering as around 20 people spent a couple of hours on a Saturday afternoon constructing enough nestboxes to provide the equivalent of a decent-sized bird housing estate. The materials, tools and instruction were provided by Paul Roughley, with around half the boxes made going to his projects supporting local birdlife. The workshop was kindly hosted by Huw Prole (our Treasurer) and his family – their barn provided the perfect surroundings – with further refreshments for the workers supplied by Sandy and Mary. The speed of construction improved rapidly as people became more familiar with the construction method, leading to 40 boxes being made in all, with even a couple of owl boxes thrown in for good measure. All in all, a very enjoyable and worthwhile event. We look forward to reporting later in the year as to what species of occupants the nest-boxes attract. 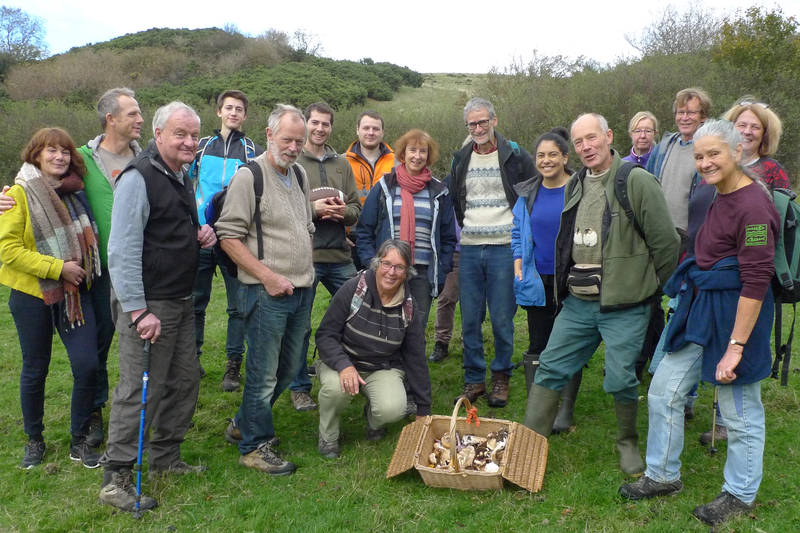 On a pleasant Autumn morning, more than twenty people joined our ‘Fungi Foray’ exploring the different types of mushrooms, toadstools and other fungi growing on and around Roundton Nature Reserve. 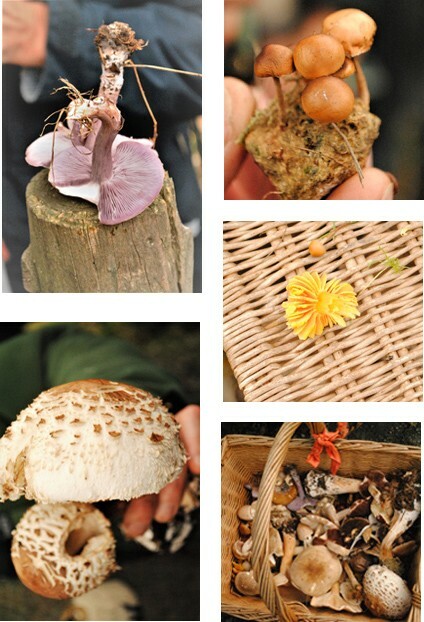 Led by fungi enthusiast Rob Rowe, the group found plenty of types before we had even left the car park! Moving up on to the hillside, we learned that there are around 15,000 species of fungi to be found in the UK alone, and that many are associated with particular trees: oak, beech and birch often host several different types, while ash and sycamore tend to offer little for the fungi hunter. 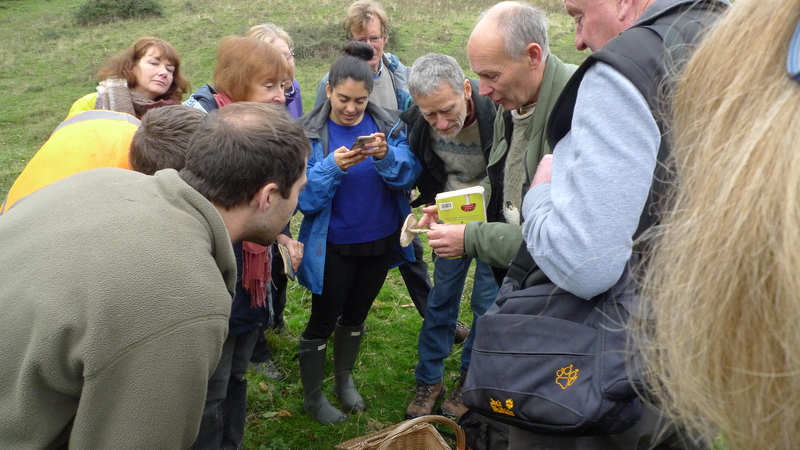 Foray leader Rob provided tips for identifying different types of fungi. Return to Camlad Valley CWG Home Page.